Merry Christmas everyone! Christmas is an important festival worldwide. People belonging to different parts of the world have different Christmas traditions. Everyone have their own way of celebrating this auspicious day. There are many ancient Christmas traditions from different parts of the world that are still alive! Let’s look at some of the popular ancient Christmas traditions! Wassailing is an ancient tradition of celebration that started in the 12th century and is celebrated on 5th January or on the Christmas eve. There are two kinds of wassails. In the first kind of wassail, people visit others and offer a warm drink in a large wooden bowl. The second kind of wassail is an ancient practice in which people visit cider orchards and sing around trees hoping that the harvest will be good. 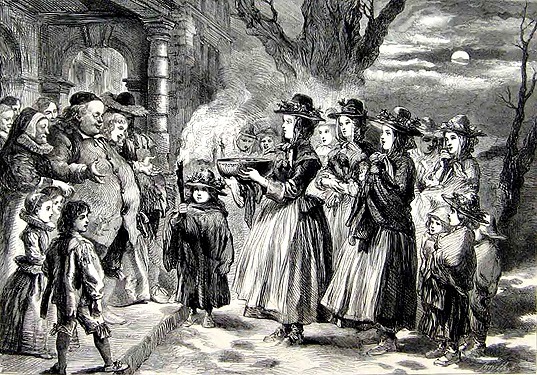 Wassailing is one of the most ancient Christmas traditions in the world. The Yule goat is also known as julbock in Sweden, julebukk in Norway, or olkipukki in Finland. The Yule goat is an ancient Christmas tradition which is also a Scandinavian and North European symbol. According to an ancient theory, the Yule goat is related to the worship of Norse god, Thor. In Sweden, the Yule goat tradition says that, a spirit appears every year before Christmas to keep a check on Yule preparations. Nowadays, the Yule goat is an important Christmas tree ornament that is made of straw and ribbons. 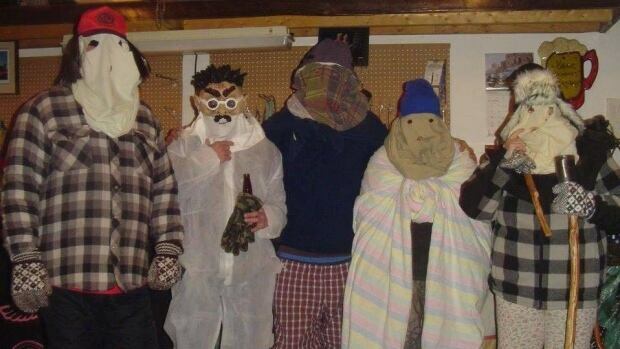 Mummering is a role-play house-visiting tradition that is popular in Newfoundland and Labrador. A group of disguised people, mummers visit homes during the 12 days of Christmas. If the mummers are welcomed, they dance and sing. The family members have to first find out who is disguised as what and then the mummers are offered food and drinks. A fake Wren bird is killed and decorated on top of a pole by a group on mummers on St. Stephen’s day (26th December) every year. The Wren day is a popular Irish Christmas tradition. A parade is organized through towns and cities and the wren boys dress up in masks, straws and colorful motley clothing. In the early 20th century, an actual wren bird was killed and placed on top of the pole. Declaring peace on Christmas day is a popular Finnish tradition since the 13th century. On this day, the criminals are punished in a harsher way symbolizing the maintenance of peace. Birger Jarl gave birth to this tradition based on the Scandinavian legislature. Christmas peace is announced every year on the Christmas eve.